VLADIVOSTOK, August 27. /TASS/. The Russian Pacific Fleet’s naval strike group and coastal defense teams have held a live-fire exercise, hitting two drifting target vessels with seven missiles, the Fleet’s press office reported on Monday. “As part of the control tactical drills of the Pacific Fleet’s grouping of forces, a naval strike group comprising the Pacific Fleet’s flagship, the Order of Nakhimov Guards missile cruiser Varyag, and the small missile ships Razliv and Moroz, and also the nuclear-powered missile underwater cruiser Tomsk and the combat teams of the Bastion coastal defense missile systems have conducted fire against naval targets using cruise missiles,” the Fleet’s press office said. As the Pacific Fleet’s press office said, “the missile strike against two drifting target vessels with Vulkan, Granit, Malakhit and Oniks cruise missiles was delivered from the Sea of Okhotsk and from the coast of Kamchatka Peninsula.” The targets were at a distance of 250 to 500 km. “The recording equipment’s data show that all the seven cruise missiles successfully hit the targets,” the press office said. 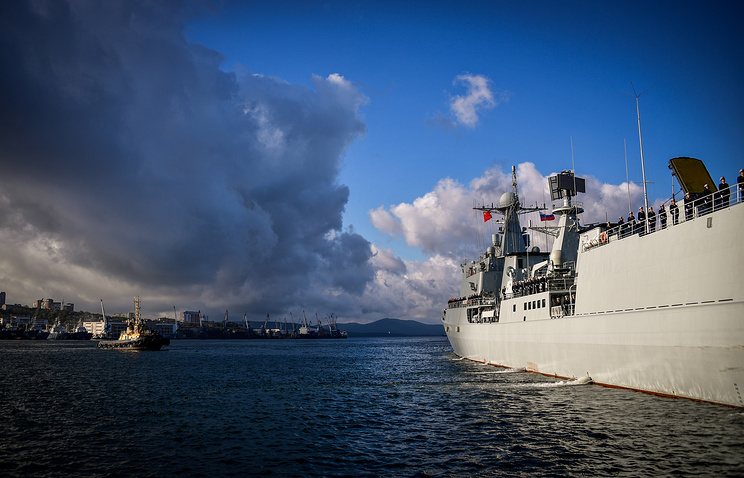 Up to 20 warships and vessels of the Primorye flotilla from the Fleet’s all-arms forces, troops and forces in northeast Russia and aircraft of the Pacific Fleet’s naval aviation were providing security in the area of the drills, the press office said. After the live-fire exercise, the Fleet’s warships continued accomplishing tasks in accordance with the plan of the drills at sea. The nuclear-powered submarine Tomsk is the Project 949A Antey underwater cruiser, which carries 24 Granit cruise missiles. The Project 1164 cruiser Varyag is armed with the P-1000 Vulkan missile complex while the Project 12341 missile corvettes Razliv and Moroz are furnished with Malakhit missiles of the P-120 system. Oniks anti-ship missiles were fired by the Bastion coastal defense systems against the naval targets. Hey Buddy!, I found this information for you: "Russian Pacific Fleet strike group hits targets with cruise missiles in drills". Here is the website link: https://russophile.org/russian-pacific-fleet-strike-group-hits-targets-with-cruise-missiles-in-drills/. Thank you.